How do you design and implement a major organizational change or transformation so that you actually achieve sustained business results? Is there a roadmap to follow? 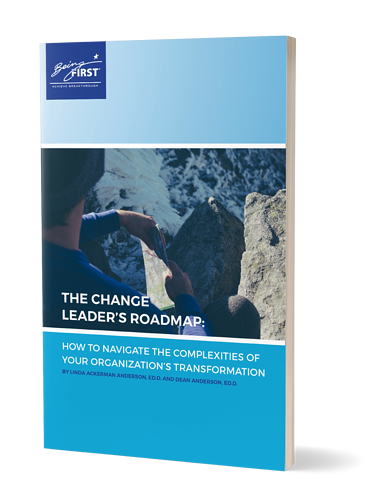 Our free resource overviews the 9 phases of the The Change Leader's Roadmap, as further detailed in Dr. Dean Anderson and Dr. Linda Ackerman Anderson's renowned book, The Change Leader's Roadmap: How to Navigate Your Organization's Transformation.